The 2015 Comparative Survival Study (CSS) of PIT-tagged spring/summer/fall Chinook, Summer Steelhead and Sockeye, released on Nov. 30, found that smolt-to-adult return rates (SARs) for most species do not meet regional goals for salmon and steelhead recovery. Exceptions include Mid-Columbia wild spring Chinook from the John Day and Yakima rivers, and Mid-Columbia wild steelhead from the John Day, Deschutes and Yakima rivers. These populations generally fell within the 2- to 6-percent range of the Northwest Power and Conservation Council's SAR objectives. Upper Columbia hatchery and wild sockeye met the 2-percent minimum SAR. Falling short of NPPC goal of 2-percent minimum and 4-percent average SAR were wild and hatchery Snake River sockeye, steelhead, and spring/summer and fall Chinook. Also not meeting the SAR objectives were mid-Columbia hatchery spring Chinook and upper Columbia wild and hatchery steelhead and spring Chinook. Data for fall Chinook from outside the Snake River basin were only recently included for analyses. Perhaps surprising given the large returns the past two years, these fall Chinook do not appear to be reaching the 2-percent threshold. The Fish Passage Center and the Comparative Survival Study Oversight Committee annually updates a wide range of data on in-river conditions and analyzes them to determine the effectiveness of fish passage and to estimate smolt-to-adult return rates, among other measures. "Estimation of the overall, aggregate SARs of fish that are transported and those that migrate entirely in-river is key to evaluation of avoidance of jeopardy (i.e., put at risk of extinction) as well as progress toward recovery goals," the study states. Since the CSS started in 1996, new salmon and steelhead populations have been added in response to requests from fisheries managers and the Independent Science Advisory Board. The ISAB and the Independent Science Review Panel have scrutinized the CSS over a dozen times since 1997, recommending detailed reports with descriptions of field methods, monitoring, statistical analysis, alternative approaches and more. At 486 pages, this year's CSS is a behemoth that the ISAB calls "extremely valuable ... for many different purposes." The ISAB now reviews the study annually. In addition to addressing NPCC established standards, this management-oriented, large-scale study evaluates in-river and SAR survival data to determine if NOAA biological opinions are providing the protection and rebuilding required by the ESA. The SARs are estimated through the release of and the detected return of PIT-tagged fish. 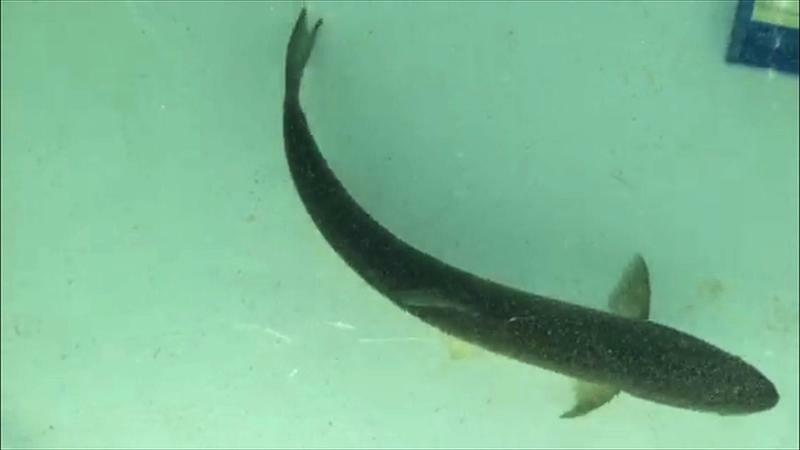 "PIT tags in juvenile fish are potentially read as the fish pass through the coils of detectors installed in the collection/bypass channels at six Snake and Columbia River dams," the CSS explains. "When tags are read, their fish identification number and the time/date of detection is recorded. Upon arrival at Lower Granite, Little Goose, and Lower Monumental dams, Snake River smolts can travel through three different routes of passage: 1) over the spillway via typical spillway, removable spillway weir, or temporary spillway weir, or 2) into the powerhouse where smolts either subsequently pass through the turbines, or 3) are diverted with screens and pipes into the collection and bypass facility. Those smolts that pass over the spillway or through the turbines are not detected." PIT-tag detection capability for returning adults is now available at the dams mentioned above and at Bonneville, The Dalles, Ice Harbor, and McNary dams, and in major tributaries such as the Deschutes and John Day rivers, according to the 2015 CSS. The increased number of dams with surface passage structures is associated with a reduction in mortality rates of juvenile sockeye, sub-yearling Chinook and steelhead. Fish travel time is fastest with higher water velocity (which reduces water travel time) and when spill levels are high. With additional years of data, the life cycle model provides further evidence that powerhouse contact reduces inriver survival and predicts delayed mortality in the ocean. Key actions to increase SARs include reducing powerhouse passage and increasing water velocity. There is a generally a higher survival probability for inriver migrants compared to transported fish. After eight years of court-ordered summer spill at Snake River collector projects, PIT-tag data reveals a dramatic improvement in travel time and survival for sub-yearling fall Chinook. The FPC and oversight committee members include staff from the FPC, Oregon and Washington departments of fish and wildlife, Idaho Department of Fish and Game, Columbia River Inter-Tribal Fish Commission and U.S. Fish and Wildlife Service. Project leader is Michele DeHart, FPC manager.